was born to Matthew and Catherine (Clark) James in 1713. 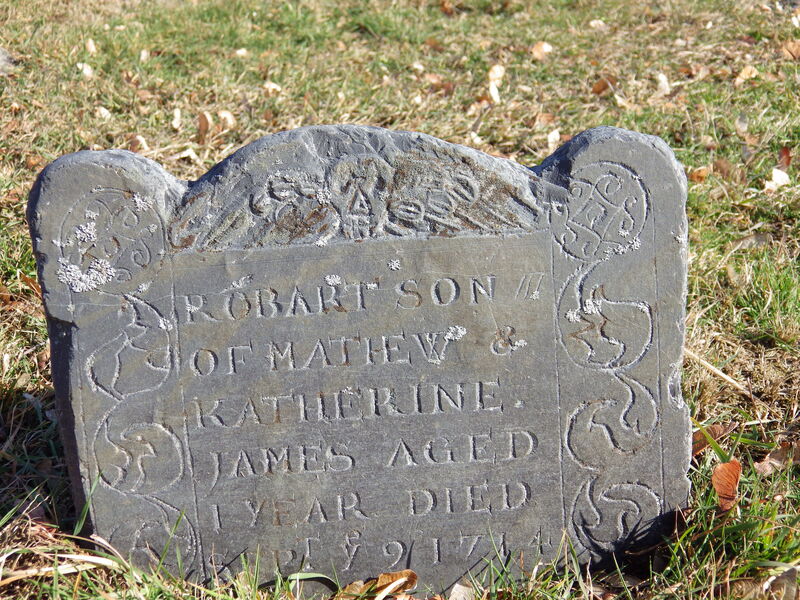 It appears that the stone carver must not have understood well, because Matthew and Catherine’s son was Richard, not Robart. The stone carver also misspelled both parents’ names. Matthew and Catherine were married November 20, 1712 in Portsmouth, New Hampshire. According to several online genealogy sources, they had three other children besides Richard. Richard died September 9, 1714 at the age of one year.